﻿ SPEAKERS - ISRAEL'S INFLUENCE: GOOD OR BAD FOR AMERICA? Rula Jebreal is an award-winning journalist, author, and foreign policy analyst. Her first novel, Miral, sold two million copies and was made into a major motion picture. She frequently appears on CNN, HBO and Bloomberg News, and has contributed op-eds to The New York Times, The Washington Post, Foreign Policy, The Guardian, Newsweek, The Nation, and San Jose Mercury News. Jebreal has anchored multiple television shows in both Italy and Egypt, and reports extensively from across the Middle East, Europe, and the U.S., frequently challenging Islamophobic rhetoric and media on its coverage of the Israeli-Palestinian conflict. Jebreal will be discussing why lumping all Muslims into one monolithic, extremist-linked bracket is actually a victory for ISIS, as well as how and why the media abrogates its responsibility to cover all sides of the Israeli-Palestinian conflict. 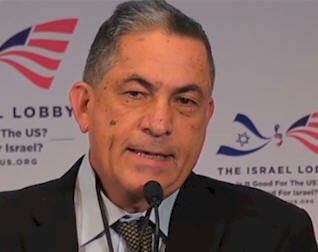 Gideon Levy is a journalist for the Israeli newspaper Haaretz, and is widely considered the “dean” of Israeli journalism. His columns about politics, money, how Israel's military occupation is changing Israeli society and about U.S.-Israel relations are widely read and discussed around the world. Video of Levy’s presentation at last year’s conference has gone viral and received over 200,000 views. Levy will outline what politicians, members of Congress and media elites visiting Israel should know about the situation on the ground—as opposed to what they are told on hundreds of junkets organized by the American Israel Public Affairs Committee (AIPAC). 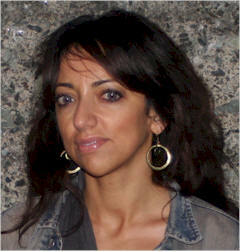 Huwaida Arraf is a Palestinian-American lawyer and human rights advocate. As the daughter of an Israeli-born Palestinian, she is also a citizen of Israel. Arraf received her Bachelor's degree from the University of Michigan, and her Juris Doctor from the American University Washington College of Law, where she focused on international human rights and humanitarian law. 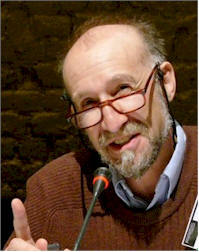 In 2001 Arraf co-founded the International Solidarity Movement (ISM), which has twice been nominated for the Nobel Peace Prize. 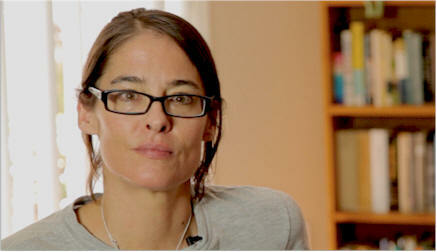 She is co-editor of the book Peace Under Fire: Israel, Palestine, and the International Solidarity Movement. Arraf was one of the initiators and organizers of a delegation of American lawyers to Gaza in February 2009, and co-authored the report on their findings, Onslaught: Israel's Attack on Gaza and the Rule of Law. 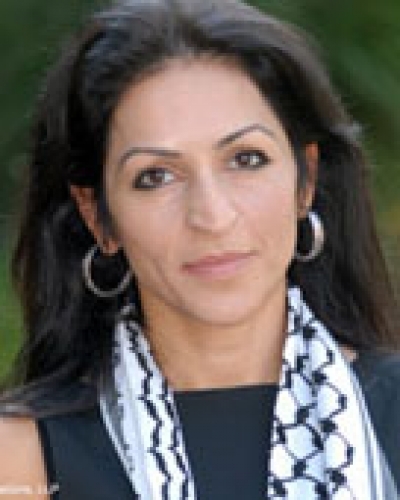 She is the former chairperson of the Free Gaza Movement, and from August to December 2008 led five successful sea voyages to the Gaza Strip to confront and challenge Israel's illegal blockade. Arraf was one of the primary organizers of the Gaza Freedom Flotilla and was traveling with it when Israeli forces lethally attacked it on May 31, 2010. In 2016 Arraf joined other plaintiffs in U.S. federal court suing the Israeli agencies for their roles in the 2010 attack on Challenger I.
Catherine Jordan is the award-winning producer and co-editor of Valentino’s Ghost: Why We Hate Arabs. A journalist for 14 years, she spent five years working with director Michael Singh to shape the film’s structure, narrative and aesthetics, as well as researching the storylines and current events which form the narrative thread for their documentary. Jordan was an editor and staff writer at the Los Angeles Times, and a correspondent for The Daily Telegraph in London, The Hollywood Reporter, Los Angeles Magazine, Condé Nast’s Tatler (London) and The New Scotsman (UK). She spent three years as a researcher at Hollywood’s Paramount Pictures studio, where her work included research and writing on the genres and highlights in Paramount’s theatrical library of 2,500 films. Jordan was honored at the MPAC 2014 Media Awards as a “Voice of Courage and Conscience” for her role in producing Valentino's Ghost. Roger J. Mattson is the author of the recently published book Stealing the Atom Bomb: How Denial and Deception Armed Israel. Dr. Mattson has experience in engineering and management with Sandia National Laboratory, the Atomic Energy Commission, the Nuclear Regulatory Commission (NRC), the Environmental Protection Agency and several nuclear safety and security consultancies. He was an adviser to the NRC commissioners on policy issues such as safety goals, risk assessment, nuclear safeguards, and Three Mile Island reforms. After leaving government service in 1984, he led two private companies that provided safety and security services for U.S. nuclear power plants, the Energy Department's nuclear facilities, and several foreign users of nuclear power. Following the Chernobyl accident in 1986, he helped develop IAEA's guidance on safety principles for the world's nuclear power plants. 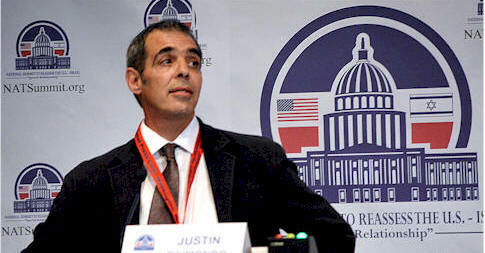 He oversaw nuclear safety consultancies in five foreign countries. 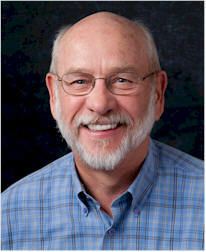 He also served on the offsite safety committees for several nuclear power plants and several DOE nuclear facilities. In 2012, he was part of a team formed by the American Society of Mechanical Engineers to forge a new safety construct for nuclear power after the tragedy at Fukushima. He has participated in safety analysis and field reviews of nearly 150 nuclear facilities in the US, Europe, the former Soviet Union and the Far East, including the startup of the latest U.S. nuclear power plant in 2015. Raimondo's books include Reclaiming the American Right: The Lost Legacy of the Conservative Movement (Center for Libertarian Studies, 1993), reissued in 2008 with new introduction by George W. Carey by Intercollegiate Studies Institute: Into the Bosnian Quagmire: The Case Against U.S. Intervention in the Balkans (AFPAC, 1996); and Colin Powell and the Power Elite (America First Books, 1996). Grant F. Smith is the author of Big Israel: How Israel's Lobby Moves America, his eighth book about the Israel lobby. 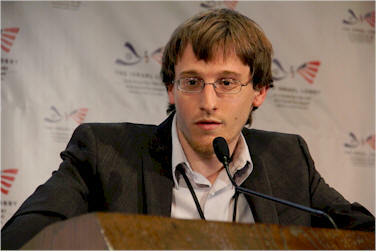 Philip Weiss is an American journalist who co-edits Mondoweiss, a news website devoted to covering American foreign policy in the Middle East, chiefly from a progressive Jewish perspective. 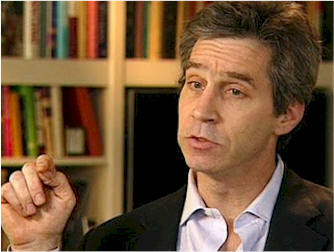 Weiss has written for the New York Times Magazine, Harper's Magazine, Esquire, and the New York Observer. In 2006 he began writing a daily blog called Mondoweiss on The New York Observer website. In the spring of 2007 he started Mondoweiss as an independent blog because of 9/11, Iraq, Gaza, the Nakba and the struggling people of Israel and Palestine, with the aim of building a diverse community, with posts from many authors. He co-edited The Goldstone Report: The Legacy of the Landmark Investigation of the Gaza Conflict (2011) with Adam Horowitz and Lizzy Ratner. 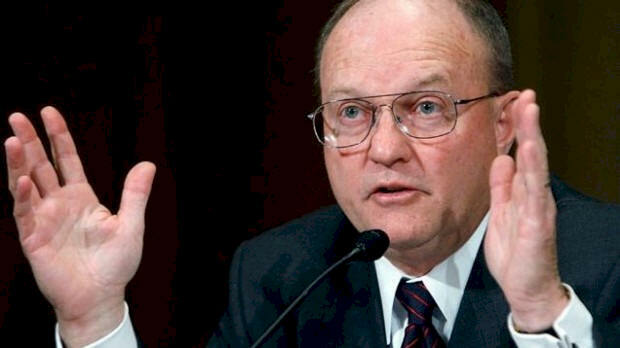 Col. Lawrence Wilkerson's last positions in government were as Secretary of State Colin Powell's Chief of Staff (2002-05), Associate Director of the State Department's Policy Planning staff under the directorship of Ambassador Richard N. Haass, and member of that staff responsible for East Asia and the Pacific, political-military and legislative affairs (2001-02). Before serving at the State Department, Wilkerson served 31 years in the U.S. Army. During that time, he was a member of the faculty of the U.S. Naval War College (1987-1989), Special Assistant to General Powell when he was Chairman of the Joint Chiefs of Staff (1989-93), and Director and Deputy Director of the U.S. Marine Corps War College at Quantico, Virginia (1993-97). Wilkerson retired from active service in 1997 as a colonel, and began work as an adviser to General Powell. 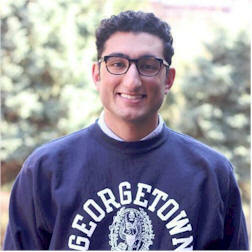 He has also taught national security affairs in the Honors Program at George Washington University. He is currently working on a book about the first George W. Bush administration. He currently is Distinguished Visiting Professor of Government and Public Policy at the College of William and Mary in Williamsburg, Virginia. 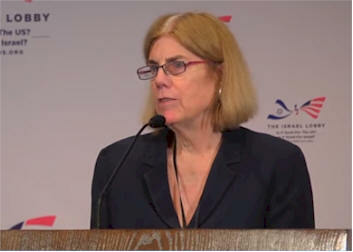 Janet McMahon is the managing editor at the Washington Report on Middle East Affairs. She earned her B.A. in English at Reed College and has a graduate diploma in Middle East Studies from the American University in Cairo. 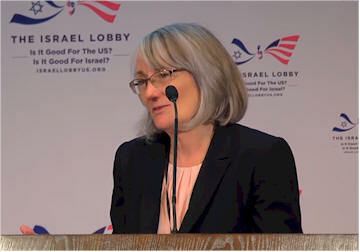 She is an expert on the Israel lobby and pro-Israel political action committees (PACs). McMahon co-edited Seeing the Light: Personal Encounters With the Middle East and Islam, and Donald Neff’s 50 Years of Israel, both compilations of feature articles from the Washington Report on Middle East Affairs. She also edited Stealth Pacs: Lobbying Congress for Control of U.S. Middle East Policy by Richard H. Curtiss. In addition to her editorial duties, she has written special reports on Israel and Palestine, and has contributed articles to special issues of the Washington Report on Iran, Tunisia, Cyprus and Libya. 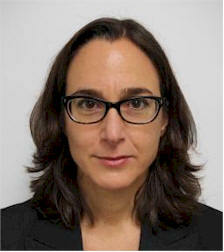 Delinda Hanley is the executive director and news editor at the Washington Report on Middle East Affairs. Before joining the magazine in 1996, Hanley spent decades in the Middle East, studying in Lebanon, volunteering with the Peace Corps, and later working in Oman and Saudi Arabia. 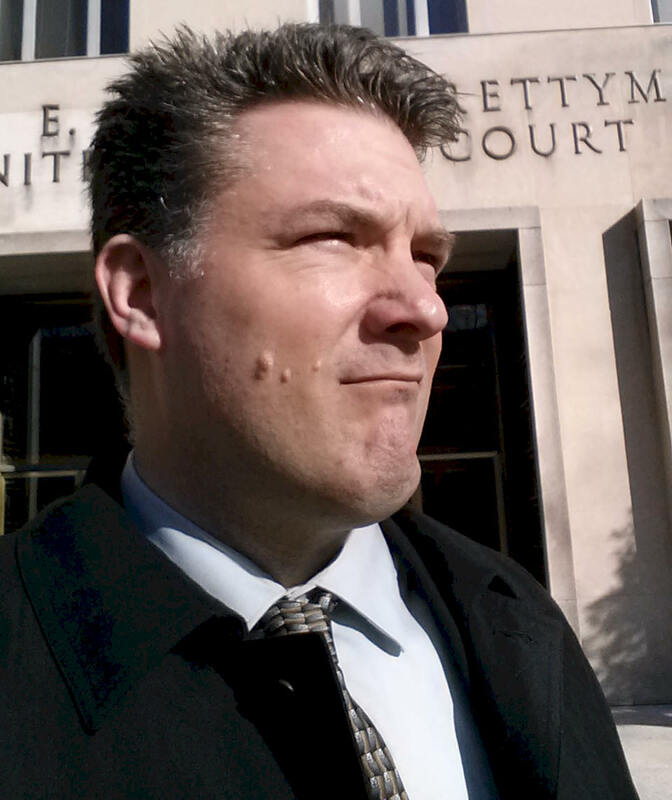 Dale Sprusansky is the assistant editor of the Washington Report on Middle East Affairs. 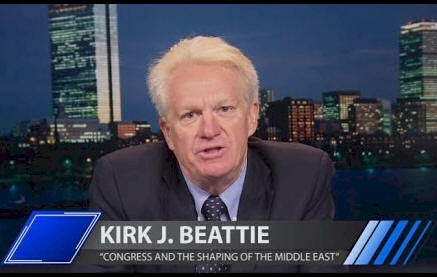 He reports on the U.S.-Israel relationship and its impact on the Palestinian people and the broader Middle East. Sprusansky received his B.A. in Political Science from Stetson University in DeLand, FL. He has lived in Egypt and traveled extensively throughout the region.